IT is unfortunate that Parliament is held to ransom on one issue or another. This time it is the Volker report. It is an important issue and the Opposition is within its rights to raise it in the highest debating forum in the country. The manner in which Indian Oil Corporation officer Manjunathan Shanmugham was murdered in Lakhimpur, Uttar Pradesh, for tracking down the powerful oil mafia involved in fuel adulteration has shocked the nation and deserves to be condemned in the strongest possible terms. The Haryana Government has raised the support price for early varieties of sugarcane by Rs 18 a quintal to Rs 135. This is substantially higher than the Rs 115 a quintal price announced recently by Punjab and is rather the highest in the country. The recent rejection by the electors of Bihar of the Rastriya Janata Dal, as Mr Lalu Yadav’s fiefdom is called, is the culmination of a political tragedy that began in 1996. It is a double tragedy, of not only Bihar which remained stagnant in all aspects for 15 years but also of the man who showed promise of a potential Karpoori Thakur, who had set the benighted state on the road to equity and development about two decades earlier. Being born to teacher parents can be sound academically, but can really put the carefree and playful childhood at a great disadvantage. I was born to such a pair of parents, which at that time seemed to be long-term shortcoming because dear mother was a school teacher and exacting father was a college professor, that too of science stream. 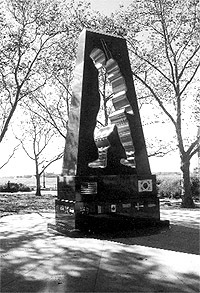 In Battery Park in downtown Manhatten in New York, there stands within a plaza an obelisk with a soldier shaped cutout by artist Mac Adams, honouring the memory of New York’s Korean war veterans. The Army’s efforts to conserve the flora and fauna on the rocky heights of the Kargil, Dras and Batalik have borne fruit. Not only has the Army made the heights green but also honoured the personnel responsible for it. Protirement, a term coined during the early 1990s, in part describes the secondary careers taken on by many workers who find their savings and Social Security won’t be enough to sustain their lifestyles after they reach the traditional retirement age of 65. IT is unfortunate that Parliament is held to ransom on one issue or another. This time it is the Volker report. It is an important issue and the Opposition is within its rights to raise it in the highest debating forum in the country. After all, the report that mentions Union Minister K. Natwar Singh and the ruling party as non-contractual beneficiaries of the UN oil-for-food programme has caused considerable concern in the country. The seriousness of the issue is such that the government was forced to appoint the R.S. Pathak Authority, which has the assistance of senior diplomat Virendra Dayal, who has already obtained the relevant documents from the Volker committee. The Opposition rightly wanted to move an adjournment motion at the first available opportunity. And the country could have expected a full-fledged debate, but the Opposition seems to have frittered away the opportunity. Apparently, the Opposition has some other ideas. Usually, resistance to such a debate comes from the treasury benches. But in this case, the Prime Minister, Dr Manmohan Singh, expressed his readiness to have a debate, if necessary, “straight away”. The House saw the pathetic spectacle of the Opposition looking for cover and expending its lungpower on creating a scene forcing the Speaker to adjourn the House. On its part, the ruling combine also played ball with its own sloganeering. In the end, no legislative business could be transacted for the second day in succession, causing a heavy loss to the exchequer. This is certainly not what the voters want their representatives to do in the supreme legislative body. The Opposition may genuinely believe that after the release of the Volker report, the government has much to explain. Parliament provides ways in which it can censure the government and even send it packing. But that requires adequate strength of numbers in the House, not of vocal chords. Logically, the only option the Opposition has is to seek a debate so that it can marshal all the facts to put the government in the dock and, thereby, achieve a moral victory. Instead, it wants to disrupt the proceedings, which only harms the national interest and, perhaps, its own. True, in the past, the Congress also had adopted such tactics. But then two wrongs do not make one right. Instead of adopting a confrontationist stance, the two sides should agree to a debate to be followed, if necessary, by a vote. They owe at least this to the people they represent. The manner in which Indian Oil Corporation officer Manjunathan Shanmugham was murdered in Lakhimpur, Uttar Pradesh, for tracking down the powerful oil mafia involved in fuel adulteration has shocked the nation and deserves to be condemned in the strongest possible terms. A brilliant product of the IIM, Lucknow, 27-year-old Manjunathan was a sincere, hard working and dutiful officer. He had a singular mission — to enforce strict quality control and, in the process, get the major public sector undertaking freed from the stranglehold of the increasing mafia-dealer nexus in the state. It is because of this avowed goal that he refused many lucrative offers from MNCs and opted to work for the IOC. And what did he get in return? The mafia killed him and silenced his voice. The Lakhimpur incident is a striking parallel of what happened in Bihar two years ago — the killing of the National Highway Authority of India’s project manager Satyendra Dubey after he complained to the Prime Minister’s Office about corruption in the Golden Quadrilateral programme. The two murders show the government’s failure to protect upright and conscientious officers even though they have become vulnerable to the mafia gangs. The ends of justice will be met only if the Centre orders a thorough probe into Manjunathan’s murder and bring the guilty to book. While Parliament should take note of the killing and enact legislation on stricter penalties for fuel adulterators, there should be no slackening of the drive initiated by Manjunathan against fuel adulteration. After the Union Ministry of Petroleum scrapped the Anti-Adulteration Cell, the oil companies are now required to enforce quality control and check malpractices under the Marketing Discipline Guidelines. But how effective are these guidelines, especially because the IOC’s sales officers constantly live under the shadow of death? After all, they deserve security and protection from the government as they deal with organised mafia gangs. The Centre should ask the state governments to give protection to the staff manning essential services. The Haryana Government has raised the support price for early varieties of sugarcane by Rs 18 a quintal to Rs 135. This is substantially higher than the Rs 115 a quintal price announced recently by Punjab and is rather the highest in the country. Unlike Punjab, Haryana does not supply free power to farmers and this is a better way of helping them. Besides, the decision will encourage sugarcane cultivation and crop diversification. Chief Minister Bhupinder Singh Hooda, who had earlier waived farmers’ power dues, should now ensure early payment of all sugarcane arrears. Politically, the two decisions will be seen as an attempt by Mr Hooda to replace Mr Om Prakash Chautala as a leader of the farmers. Since sugar prices are ruling high, the mills should be able to share a part of their profits with the cane suppliers. Trouble will arise if sugar prices happen to fall in future. It will be politically unwise then to bring down the cane price. The sugar mills in the cooperative sector will be particularly affected. There are 12 cooperative sugar mills in Haryana and of these only eight are profit making. The state government has ruled out their privatisation. After the Supreme Court judgement upholding the UP government’s right to fix the sugarcane price, the mills have to pay whatever price is announced by a state. Haryana has gone a step further in safeguarding the interests of the mills as well as the farmers. There is a Rs 225 crore proposal to set up sugar complexes at the cooperative mills to ensure power generation, production of biocomposts and ethanol for use in petrol. Besides, the government will make available Rs 24 crore next year to enable the sugar mills to set up “kisan seva kendras”, which will provide loans and agricultural inputs at reasonable rates to farmers. Punjab should learn a lesson or two from its neighbour. The recent rejection by the electors of Bihar of the Rastriya Janata Dal (RJD), as Mr Lalu Yadav’s fiefdom is called, is the culmination of a political tragedy that began in 1996. It is a double tragedy, of not only Bihar which remained stagnant in all aspects for 15 years but also of the man who showed promise of a potential Karpoori Thakur, who had set the benighted state on the road to equity and development about two decades earlier. Karpoori was a follower of Dr Ram Manohar Lohia along with Mr George Fernandes and Mr Madhu Limaye among others. He belonged to the barber community but did not pursue casteist politics. Instead, he tried to dilute the upper caste monopoly of power in the state. “Thakur” in his name was not denominational. That was the basic difference between Karpoori and Mulayam on the one hand and Lalu on the other. Mulayam swears by Dr Lohia, has named his party Samajwadi Party and, as Defence Minister in the United Front Government in 1996-97 would advocate India-Pakistan confederation citing it as Dr Lohia’s panacea for India-Pakistan strife. True, Dr Lohia had thought aloud in terms of such a confederation immediately in the wake of Partition, but when Pakistan leaders interpreted it as a ruse to undo Partition, he abandoned it. He had put that on record in his monthly publication Mankind. Reverting to Mr Lalu Yadav, he was an active participant in the “J.P. Movement”, as historian Bipan Chandra derisively described the struggle against the 1975 Emergency.’ He was studying law then. He was elected to the Lok Sabha in 1977 in the general election which saw the eclipse of Indira Gandhi’s power even if briefly. Interestingly, Lalu did not mind when Jayaprakash Narayan sought the help of the RSS during the Bihar movement, which triggered the 1975 Emergency. (Remember Raghu Rai’s living picture of an RSS volunteer exposing his head to ward off a police blow on JP). Lalu was also quiescent during Mr Madhu Limaye’s crusade against the Jan Sangh constituents of the Janata Party in 1979. He was re-elected to the Lok Sabha in 1980. Lalu’s innings as Chief Minister of Bihar began in 1991. He was then a member of the Janata Dal, formed by the marriage of Mr Ajit Singh’s Lok Dal with Mr Chandra Shekhar’s Janata Party. Re-elected to the assembly in 1996, he resumed the chief ministership. The fodder scam came to light in 1996. When Lalu was facing prosecution in the corruption case, Mr H.D. Deve Gowda as Janata Dal Prime Minister, and party leaders Madhu Dandavate and Surendra Mohan asked him to step down as head of the state government. He refused. Instead, facing expulsion from the party, he launched the RJD as his personal party. When he was sent to jail in connection with the case, he put his wife Rabri Devi as Chief Minister. That was the beginning of the so-called Lalu-Rabri era in Bihar. Briefly, the fodder scam involved acceptance of bribes to the tune of about Rs 75 crore from a non-existent fodder-supplying firm. The Assistant Director of Animal Husbandry in Bihar, Dr S.B. Sinha, was said to be the kingpin of the transaction, which defrauded the government treasury without receiving any fodder. The details were given in a confessional statement by one of the accused who turned approver in the court of CBI Special Judge, A.K. Sen Gupta in Patna on 17, October 2004. Whether the amount involved in the case was Rs 75 crore or more, the interesting thing is that for about a decade or so — from 1996 to this day Lalu has ensured that the case did not reach the trial stage. At the same time, Lalu has been going from strength to strength. He was a member of the Rajya Sabha until 2004 and, since the last general election in December 2004, has been Railway Minister in Dr Manmohan Singh’s government, having been elected to the Lok Sabha from not one but two Bihar constituencies. He also got as many 25 others from his caboodle ‘elected’ to the Lok Sabha. Lalu’s formula for winning elections worked like magic until now when an altruistic Election Commission with determined officers saw to it that the polls were fair by all standards. It was muscle power plus money. In the result, the courts, including the apex court, had been averse to let the law take its course as the cliché goes. In this period, Lalu was the de facto leader of MPs to Pakistan where he was reported to have fascinated such a sure-fire connoisseur of democracy as General Pervez Musharraf and the common Pakistanis said to be pining for democracy. They saw in Lalu ‘a true symbol’ of Indian democracy. During his first stint as Chief Minister, Lalu’s visits to Delhi were “historic.” Besides maintaining the reputation for hospitality of Bihar Bhavan — by “wining” and dining journalists and loading them with rich presents — Lalu made his visits to the barber shop at Ashoka Hotel memorable. I had a bitter experience as a fellow customer in 1993. He would rain one hundred notes not only to the barber/barbers attending on him but to all and sundry in the shop so that all the staff would flock round him leaving you high and dry. Finally, even a cursory look at the latest election results will put in perspective Digvijay Singh’s claim of the “secular” front having scored in popular vote. The Janata Dal (United) of Mr George Fernandes and Mr Nitish Kumar — formerly the Samata Party — has won 87 of the 139 seats it contested, which would work out to a striking 60.5 per cent win; the BJP’s tally is 55 out of 102 or 50.3 per cent; the RJD has won only 54 of a whopping 175 seats or 30.3 per cent; the Congress party congratulating itself for having wangled 51 seats from Lalu, prevailed just in nine constituencies with a success rate of 19 per cent. The JD (U) and BJP gains were at the expense of RJD and the Congress. Meanwhile, the epithet “secular” seems to be a synonym for what the self-appointed secularists want it to mean; according to Mr Ram Vilas Paswan, naming any Muslim as a chief ministerial candidate would have reinforced their ‘secular’ credentials. Similarly, a Shiv Sena veteran, Mr Narayan Rane, becomes “secular” when he defects to the Congress party! Most difficult outcome of the situation was the blurring of separate entities of school and home. All the kids cherished the sound of the bell declaring school time over. Kids would jump, scream and run out of the class. To me, it was just transition from one study spot to another. “Let’s see what you did in the school today” was the most dreaded opening sentence, which would seem like start of a sentence. Being a close knit fraternity in a small town, teachers felt it their duty to report the deeds or misdeeds of wards of fellow teachers. Instead of parents telling me a story at bedtime, I had to recite tables till twenty. Exams would be done twice, once at school and again rewrite everything at home, for the parents to evaluate my performance “online”. That I was amongst toppers in district in all board examinations was incidental. Come college, and joy- killer joystick control was handed over to scientist father, a gold medallist from Lahore University, whose logics of discipline defied logics of youth. To add to the misery was a whole lot of his friends, sole goal of their visit to our home seemed to be to evaluate my study pattern and my knowledge. Questions would be asked while I served them tea, at the dining table or any occasion that would juxtapose the hunter and the hunted. Now that they had successfully planted my two elder sisters in the medical college, I was the sole object of their attention. Then came the PMT, at last. When I came out of the examination hall, I was tired and mentally exhausted but still relieved at the thought of end of the ordeal. But lo and behold, at home were professors of all the subjects like a committee and all took their turns to ask me all the questions and the answers that I had written. Table marking made its debut to decide the fate of future doctors who will handle the fate of patients. It was a weeklong wait, but again I was amongst the toppers of the district. I am happy that I could do it in the times when there were no paper leaks, for my parents had no money to buy such papers. Knowledge and hard work was the wealth they had and that produced the desired results. The “Universal Soldier”, as he is called, represents 22 countries, including India, that took part in the 1950-53 Korean war. It was dedicated in 1991 to a war where North Korea, later joined in by China, slugged it out with a United Nations force composed predominantly of American soldiers under Gen Douglas Mac Arthur, till an armistice was signed on July 27, 1953, and the 38th Parallel restored to its original sanctity. Commemorating the “Forgotten War” the Korean War Veterans Memorial Committee also installed a sun dial at the memorial where on July 27 every year at exactly 10 am — the time the hostilities were ordered to cease — the sun shines directly through the soldier’s head to illuminate the commemorative plaque installed in the ground near the cutout. At the base of the memorial engraved on stone with the country flag overhead is the roll of honour of the dead, wounded and missing, with the United States in the lead with a figure of 54,246, 1,03,248 and 8,177 respectively. In New York itself, there are two more war memorials remembering the Korean war veterans who had sacrificed their lives in a bitterly fought war that not only saw President Truman removing from command Gen Mac Arthur for his “aggressive policies,” but the ushering in of an era of American armed intervention in subsequent years in Vietnam, Afghanistan and Iraq. Likewise, there are hundreds of other Indian units which give their all for the Tricolour that flutters proudly over the ramparts of the Red Fort every Independence Day. But where, may I ask, are the lights that should burn eternally in remembrance or the memorial, if not memorials, for them in our ungrateful land? Like in New York, where in our large cities are the edifices that will remember our dead, and like in the Vietnam war memorial in Washington, where is the space where a mother will put her trembling finger across her beloved son’s name and weep in silence? The Arlington National Cemetary honours the Unknown American soldier who died without his remains being identified, and carries an inscription saying, “Here rests in honoured glory an American soldier known but to God”. The unknown French dead of the First World War lie remembered and honoured at the Arc de Triomphe in Paris. In the United Kingdom the Unknown Warrior rests in glory and peace at Westminster Abbey. These tombs also commemorate the unidentified fallen of any of the later wars. What we do for our departed soldiers in India, I will come to later. But do you know why we do not remember our dead soldiery as well as others do? Because for one we got our Independence on the cheap, without even much of an armed struggle, all the pontifying from the rooftops about the freedom struggle by the political parties at the time notwithstanding. Secondly, because, the none or possibly an odd one at the most of our netas and leaders ever send their sons to the armed forces. Also at the heart of the matter is the suspicion about the Army the average Indian politician has, of it one day [like in Pakistan] taking over the reins of government. That such an eventuality is a virtual impossibility in India is besides the point, but it is a good enough excuse and ploy to smear the Army with and keep them permanently out of any macro-level decision-making process. And finally because, in essence, the Army is not respected any more by the money minded, rich jet set Indian youth, and because the Indian polity has done very little about this obsession, besides the occasional pay commission and the princely amount of Rs 150 half yearly as dearness allowance. So my point is that if the living soldier is not respected or remembered, then where is the question of any better priority for the dead? Anyhow back to all those Indian soldiers from all the three services who sacrificed their all for the country, and for whom we have the All India War Memorial at India Gate in New Delhi. The India Gate was built by Edwin Lutyens to deify the Indian soldiers who died in World War 1 and the Afghan wars. After the 1971 war with Pakistan over Bangladesh, the Amar Jawan Jyoti, the eternal flame was added at India Gate. Anyone who cares to drive past the India Gate today would see a boistrous, disinterested [in the memorial], noisy and unconcerned body of onlookers more interested in their “kulfi” and “channa” that they are eating, than the memorial that they actually should be viewing and comprehending its history. Many questions come to my mind about this kind of a memorial. Is it for all the veterans who laid down their life in all the wars that India has fought? Is it dedicated to the Unknown Soldier or is it a cemetary? Does an add-on in the way of Amar Jyoti do justice to a national memorial to the country’s heroes who kept India’s sovereignty intact? Does the design of the memorial really look like a war memorial, or should there be an obelisk of the universal soldier as in New York, where one sees pride, dignity, courage and a future to look up to, and not a rather depressive picture of an inverted rifle with a helmet placed on top. And finally, please ask any good architect to comment on the size and scale of the inverted rifle add-on as compared to the high-domed original India Gate ediface, and see if the later addition really is apt or not. How about examining a new site for a new all-India war memorial with a different design and universal message from the armed forces at a suitable spot in New Delhi? The first Bombay National History Society (BNHS) Green Governance Award for Conservation of Flora has been awarded to the Army’s 8 Mountain Division, which had launched “Operation Green Kargil”. The operation was launched as a long-term plantation drive to increase the green cover in the Kargil, Dras, Khumbatangh and Batalik sectors of Jammu and Kashmir. Some 34,000 trees, including medicinal plants and fruit trees, have been planted during the current year as part of the drive which aims to conserve the flora and restore the habitat for local fauna. INS Tarangini, the Navy’s sail training ship, has come back after a six-and-half month voyage to Europe, where it made waves by participating in the tall ship races. It called at 16 ports in 13 countries during this voyage. There were over 70 tall ships from various countries that had arrived to participate in the race. Tarangini participated in the race from Waterford to Cherbourg and from Newcastle to Fredrikstad and also in exhibition races at Bremerhaven and Amsterdam. However, it saved its best for the International Fleet Review at Portsmouth and City Parades during the sea festivals at Waterford, Cherbourg and Newcastle, winning the Smartest Crew Trophy at Newcastle. The ship along with INS Mumbai also represented the Indian Navy in the International Fleet Review and the International Festival of the Sea at Portsmouth. The events were held to commemorate the 200th death anniversary of Lord Nelson in the Battle of Trafalgar. Five ships and one submarine of the Navy’s Western Fleet have just concluded the two-day exercises with the French Navy. Varuna, the seventh in the series of exercises between the Indian and French navies were held in the Gulf of Aden, near France. The Indian ships included aircraft carrier Viraat, guided missile destroyer Mysore, guided missile frigates Talwar and Godavari and tanker Aditya. The joint exercises have grown in scope and complexity over the years and facilitated mutual learning and interoperability. During this exercise, the thrust was on dissimilar air combat between Sea Harriers and French Mirages, air defence exercises, intermediate and advanced level anti-submarine warfare, maritime interdiction operations and compliant and non-compliant boarding operations. Another highlight was the professional interaction of the naval marine commandoes and Army troops with French Special Forces. Those without financial concerns simply want to have something different to do in their later years. But it’s a time of life that experts say workers need to start planning for as early as their mid-40s. Career experts predict more people will find second careers as they get closer to their retirement ages. For that reason, the word “retirement’’ often is being replaced by words like “protirement’’ and “rewire’’ by career counselors and workers. Recent surveys show that most employees expect to work past retirement in some capacity. “(Protirement) means to become proactively engaged (in the next stage) instead of sitting back and seeing it as a final chapter,’’ said Pamela McLean, co-founder of the Hudson Institute of Santa Barbara in Southern California, a training center for professionals. McLean’s husband, Frederic Hudson, is credited with coining the protirement tag. When Social Security was enacted in 1935, it set the retirement age at 65, which most people thought was great, said Carleen MacKay, co-author of ``Boom or Bust — New Career Strategies In a New America for Baby Boomers and Beyond,’’ and a specialist in emergent work force issues at Spherion, an international recruiting company. With 76 million baby boomers approaching retirement starting in 2010, experts are urging workers to prepare for the future by devising a plan for how they want to spend their lives after they finish their current careers. Besides considering how much money will be needed, experts suggest that workers expand their education and enhance their skills in areas they would like to pursue later. Many workers are like Donahue and expect to start businesses on their own, experts say. According to a 2004 AARP study, 80 percent of baby boomers plan on working beyond age 65. Experts point to a variety of factors: Higher health care costs that could make retirement unaffordable; dwindling pension plans; and a desire to stay active. The baby boomers also are expected to be wanted: Many employers are concerned about losing too much talent all at once, and they are instituting plans to persuade workers to stay on through flexible and part-time schedules. Experts advise workers to think now about how they would like to spend their later years. Many people move from full-time work to consulting. Others are able to combine their interests. It’s not too early for workers in their mid-40s to explore options so they can schedule their retirement years, Piktialis said. Many companies are concerned about losing the expertise of their more seasoned workers because so many baby boomers will be eligible to retire during the same time span. All over India the complaint is often made that public life and public spirit is warning. Many causes are mentioned, of which repressive laws and economic struggles are some. But it can hardly be said that in spite of all these difficulties there was little to discourage a man of Mr Gokhale’s stamp who dedicated himself to the service of the country. Even he was under suspicion, and Sir Gangadhar Chitnavis once explained in the Imperial Council that Mr Gokhale was dogged by detectives — a statement which was not denied. India is indeed passing through difficult circumstances and her political and public conditions are not like those of more satisfactorily established countries. These very conditions require qualities of exceptional courage, virtue, and selfsacrifice; and these in a large measure are exemplified by the life and work of our departed patriot saint. His ideal of public life is an ideal that must be followed by all who are gifted alike in India. The motherland does not lack men of intelligence, men of altruistic nature, men of courage and patriotism. But the ideal of dedication is yet to inspire those who have these qualities but who yet follow traditional habits of life. The worth of any work lies in the thought which accompanies it and in the method by which accompanies it and in the method by which it is done. With these, inconsequential work assumes significance because of the remarkable quality of its worksmanship. No matter who joins whom in battle, the laws of combat should be fair and just. The king must give his assent to these laws. Both the laws and the king’s assent must be published far and wide so that the people know justice rules. The truth is you turned away yourself and decided to go into the dark alone. Now you are tangled up in others, and have forgotten what you once knew, and that’s why everything you do has some weird failure in it. The mountain of Truth has gold and silver at the base and only pure happiness at the peak. If my eyes be dazzled by the base, will I ever progress to the peak? The weapon of knowledge is the best help to man in his fight against temptations. Even after conquering desires, man must be constantly alert for they have an insidious way of creeping into the mind at the slightest chance. Let the laws be read out by a man who is known to be good and wise. Though they may be fair and just, to be sure. If read out by a man, cruel and greedy, they take on the colours of the man.